Looking for help this year handicapping The Preakness? Look no further. 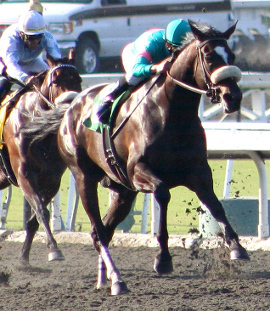 Wunderdog Sports has been handicapping the horses and offering winning horse racing tips and picks for years. During the Triple Crown, we put forth an extra effort. The Preakness, being the middle race, offers a chance to look for opportunities based on the outcome of the Kentucky Derby. Here you'll find Preakness picks and other handicapping advice. Read why you need to watch out for those Bouncing Horses your Preankess pick.